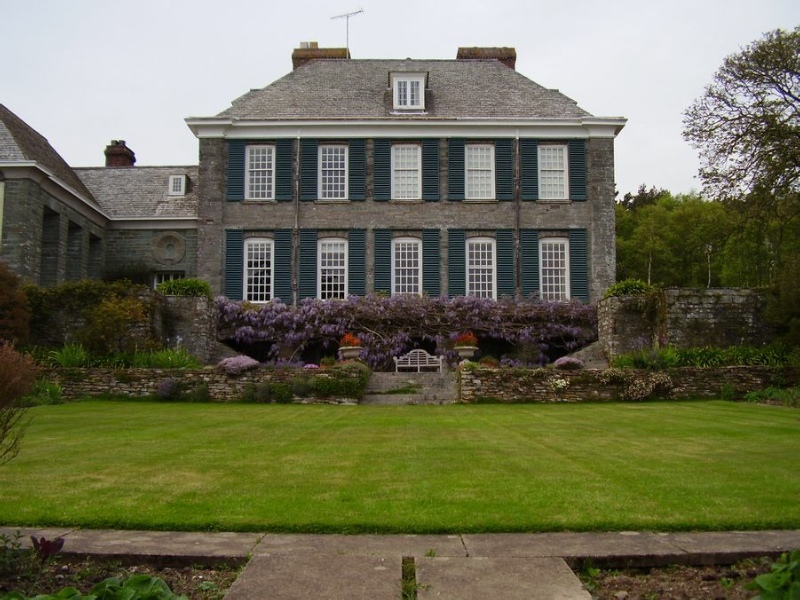 Plymouth Archaeological Society visited Mothecombe House and beach on the 5th May. Although this visit was a restricted to ‘members only’ for insurance purposes, the numbers were 57. 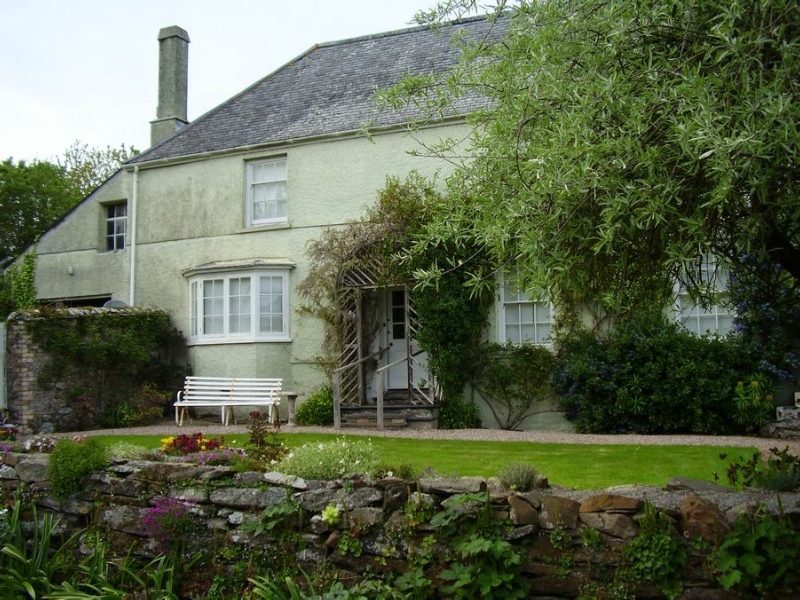 Mothecombe House is set in beautiful gardens on the Fleet Estate in the South Hams at the mouth of the river Erme. The house is in the Queen Anne style built of local grey stone with some additions by the commissioned architect, Sir Edwin Lutyens. The original cross passage farmhouse still remains to the side of the house. It was in 1925 that Alfred Mildmay commissioned Lutyens to build a new wing for the dinning room. This is an impressive room, modelled on a dinning room in the Bank of England, consisting of two wooden classical columns that were decorative rather than structural and very precarious if leaned on. The walls were hung with Canaletto styled paintings by William James and a large fireplace that was very close to the dinning table and had caused some damage to the chairs in the past by singeing. To the south of the house was located a walled garden with Lutyens terracing. Lutyens is also renowned for Castle Drogo in Devon, which is reputed to be the last castle built on English soil, and is now in the care of the National Trust. Lutyens other notable houses are Renishaw Hall in Derbyshire and Misarden Park in Gloustershire, Knebworth House in Hertfordshire and Queen Mary’s Dolls House in Windsor Castle along with other buildings in the city of London. rooms were adorned with family photos giving it a loving lived-in appearance and period furniture. The hallway was paved with black and white tiles, a hallmark of Lutyens, with large Chinese blue and white pots containing jasmine that perfumed the air. As each group left the house they walked down to the beach through the beautiful gardens that are open to the public throughout the summer. At the beach site Chris Ruse gave us a talk on the archaeology of the area and past digs. Out to sea is a drowned Forrest dating back to the Mesolithic (6000-5000 yrs.B.C.) and in freak weather conditions some of the stumps are exposed. It was at one of these times that a number of flints were found.